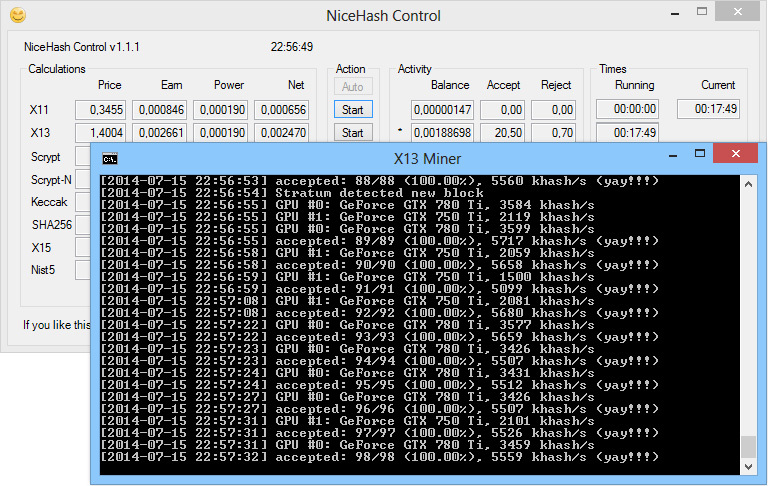 We have updated our NiceHash Control tool package with ccMiner for use with GeForce GTX 750 Ti to the latest NiceHash Control version 1.1.1 that adds up some new useful features (it is possible to be used on other Nvidia-based GPUs with at least Compute 3.0 capabilities). The idea for this tool is to sell your hashrate at the NiceHash service making the highest possible profit by switching to the most profitable mining algorithm all the time. 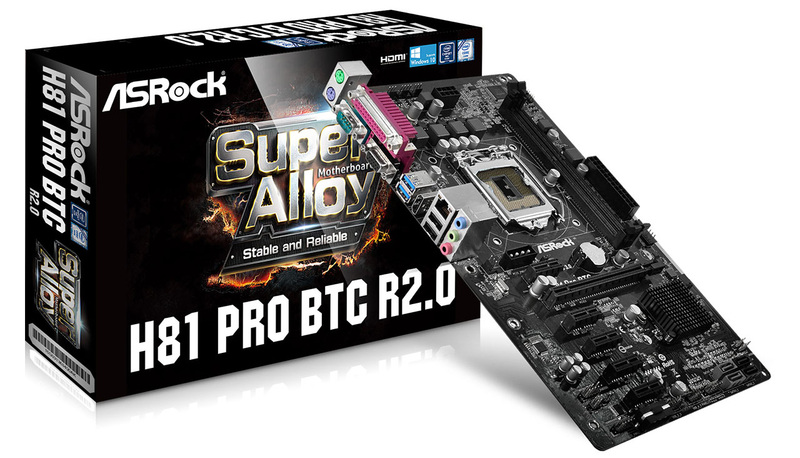 Our ready to use package supports the X11, X13, X15 and NIST5 algorithms as we consider that these are currently the most profitable ones as well as the ones that will use less power and generate less heat. The update introduces support for backup pools for each algorithm, so that when NiceHash is down you will move to the TradeMyBit pool as a backup (you need a registration there and to setup the backup pool’s user and password to your own). What you need to do in order to use our GeForce GTX 750 Ti mining pack is to edit the config file and set your BTC address, edit the backup pool settings in the MINERS.bat file and then just start the AUTOSTART.BAT file to fire up the software. 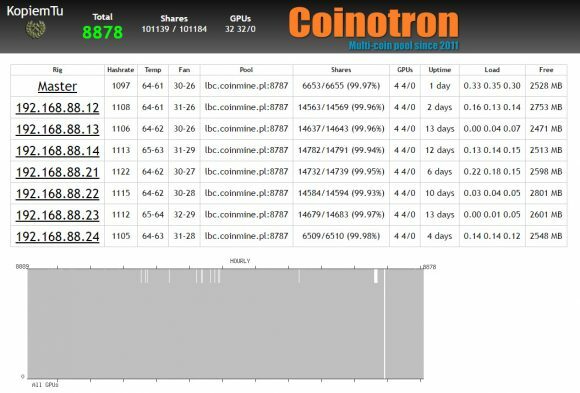 What is left is to monitor your earnings on the NiceHash website, and you can check the log.txt file for information what algorithm was switched to and when. This version of the package does provide a simple, but nicely working way for backup pool as the ccMiner software still does not have official failover pool support built-in. 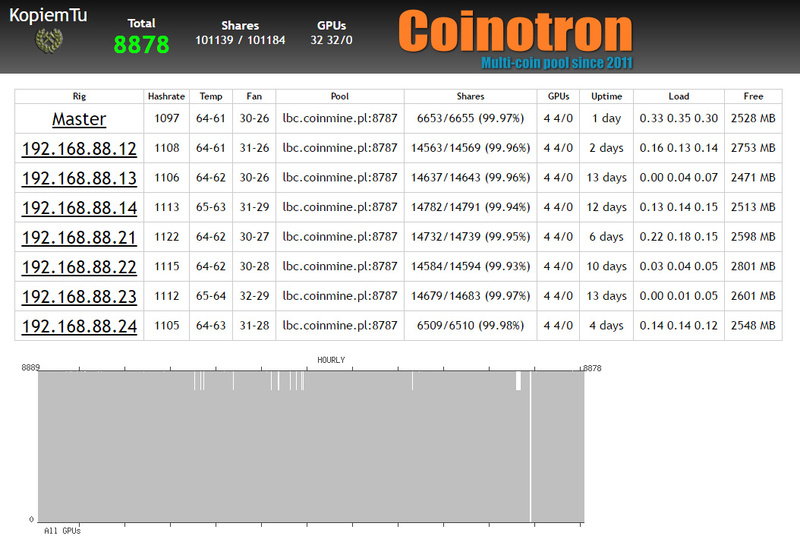 If you like this tool and our GeForce GTX 750 Ti mining pack based around it, don’t forget to send a tip to the author of the NiceHash Control software. NHC Version 1.1.1 has introduced new way of killing the miner window, however we have been getting occasional errors for access denied using the new version and when this problem appears the software stops switching the algorithms and the last mining session continues. If you do encounter similar problem on either the Nvidia or AMD packs you might want to replace the executable with the previous version 1.1.0. We might revert the NHC version in the packs to it if we are not able to figure out what is causing the issue.